Nestled high on the mountainside with sweeping views of the bay, Oceans Drift offers a warm welcome and luxury accommodation. All our rooms are ensuite and calmly decorated in a beach theme. Every room has a sea-view and a private balcony overlooking the pool deck together with a King Bed, air-con, refrigerator and tea and coffee making facilities. We are conveniently situated just outside Simons Town centre and within very close proximity to the Penguin colony and the beach. Cape Point nature reserve is a short drive away. Simonstown is a pretty little historical navy town with a good choice of gift and coffee shops and restaurants. It is ideal for nature lovers with its Penguin Colony, pretty little beaches and beautiful scenery. We are en-route to Cape Point Nature Reserve which provides some wonderful walks and cycle routes, wildlife and a restaurant overlooking the ocean. 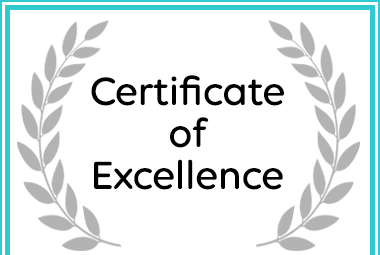 Oceans Drift Guest House has won a Certificate of Excellence Award for Accommodation in Simon's Town.